Thank you so much, Viktor, for your kind comment and support and for making this image one of your favorites. Thank you Angeles M Pomata for making this image one of your favorites. Thank you, Karen, for the feature in your wonderful group, Lady Photographers and Artists. Thanks so much Kay Brewer, for your kind comments and support. Thanks so much, Robert, for the feature in your wonderful group,Your Very Best Photography. I truly appreciate your kind comments and support, Wes! Thank you so very much, Kim. Thank you, Kim, for the feature in your great Group, Flora. Dora, Sharing my Congratulations on your Feature in Flora ! Thank you so much, Jeannie Rhode. 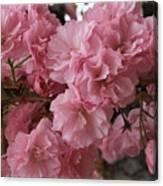 Thank you, Ed for featuring Cherry Blossoms in your great Group, Flowers From Our Gardens. Thanks so much, Ana Dawani. So very beautiful Dora, cannot believe how many blossoms are blooming. Love the angle that you photographed them on and the close up. Thanks so much, for your kind comments, Sherry! This is really Cherry Blossom Time - they are everywhere! Thank you, Kim, for featuring Cherry Blossoms in your great Group, Flora. Thanks so much, Beth, for the feature in your great Group, The Most Beautiful Flowers. 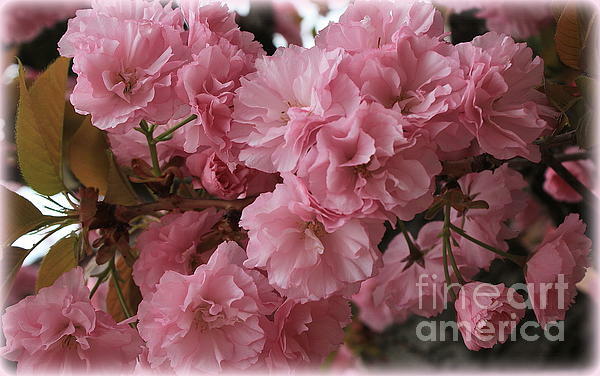 Cherry Blossoms - Dora Sofia Caputo Image of lovely Cherry Blossoms captured at a neighbor's garden in New York. 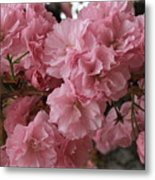 A cherry blossom (or commonly known in Japan as sakura) is the flower of any of several trees of genus Prunus, particularly the Japanese cherry. Currently it is widely distributed, especially in the temperate zone of the Northern Hemisphere including Japan, China, Korea, Europe, West Siberia, Iran, Pakistan, India, Canada, and the United States. 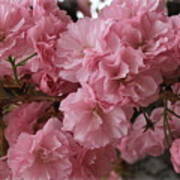 Along with the chrysanthemum, the cherry blossom is considered the national flower of Japan. Many of the varieties that have been cultivated for ornamental use do not produce fruit. Edible cherries generally come from cultivars of the related species Prunus avium and Prunus cerasus. Cherry blossom are also closely related to other Prunus trees such as the almond, peach, plum and apricot and more distantly to apples, pears and roses.